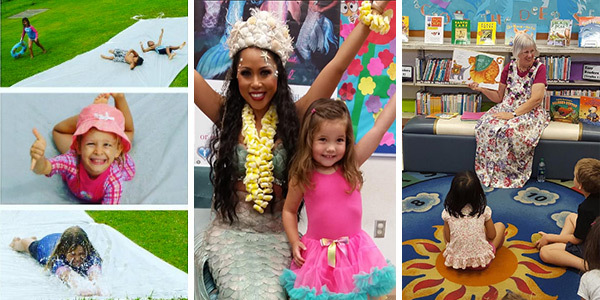 Welcome to the Hawaii State Library, the flagship of the Hawaii State Public Library System! With financial assistance from Andrew Carnegie, the present location was acquired and the existing building was built and opened on Feb. 1, 1913. 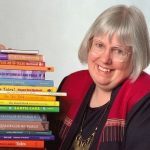 We have a variety of special features, most notably our Hawaii & Pacific Section, the Edna Allyn Room Children’s collection, and also the Federal Documents Section, which has been a Selective Federal Depository Library since 1929. We are located in the historic capitol district of Honolulu, next door to the only Royal Palace in the United States. The public is invited to view the Pastel Artists of Hawaii’s 10th Annual Members’ Show in the Hawaii State Library’s First Floor Reading Room from April 1st to 26th. This is an annual exhibition. A reception open to the public will be held on Thursday, April 4th from 4 to 6 pm. 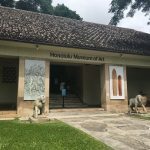 Pastel Artists of Hawaii (PAH) is an educational, public and member supported, non-profit 501(c)3 organization, established in 2001 to primarily promote awareness of soft pastel as a serious art medium, and secondarily, to develop and maintain a national society standing. 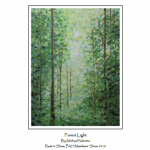 PAH is also a member of the International Association of Pastel Societies (IAPS). 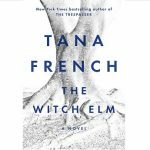 For the Month of April, the HSL Book Group will discuss The Witch Elm by Tana French. Named a Best Book of 2018 by NPR, The New York Times Book Review, and Amazon, The Witch Elm is a murder mystery about happy-go-lucky charmer Toby who, after being beaten by two burglars, takes refuge at his family’s ancestral home to care for his dying uncle Hugo, only to find a skull in the trunk of an elm tree in the garden. The HSL Book Group meets on the third Thursday of each month at 6:30 p.m. in the Language, Literature, and History Section. New members are always welcome. No registration necessary. Inquiries about the Hawaii State Library Book Group can be directed to hslbookgroup@gmail.com or (808) 586-3499. 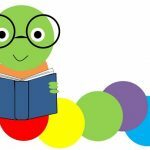 Join us for a fun and interactive storytime in the Edna Allyn Room for Children. This program is suitable for ages 3 and older. Children must be accompanied by a parent or adult guardian. All programs are subject to change. If you require an auxiliary aid or accommodation due to a disability, please contact the library at least 7 days before the program date. Dr. Don Hibbard will examine the development of a regional architecture in Hawaii during the 1920s and 1930s with special emphasis on the work of Charles C. Dickey, Hart Wood and Bertram Goodhue. Dr. Hibbard has worked as an architectural historian in the historic preservation field since 1975, both in the private sector and with state governments. He has also taught courses on historic preservation and architectural history at both the University of Hawaii and Hawaii Pacific University, and authored several books on Hawaii’s architectural history. 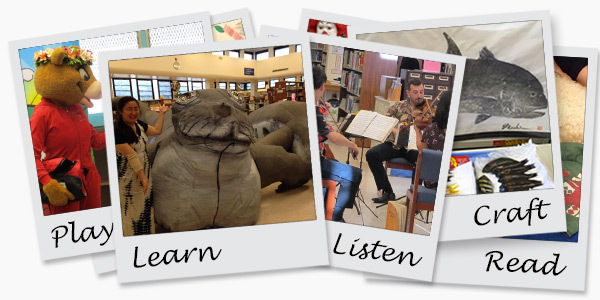 Program will be held in the first floor reading room at the Hawaii State Library. 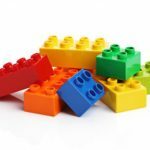 LEGO lovers can join us for an hour of free play with LEGO bricks. This program is recommended for ages 5-12. Children ages 5-7 must be accompanied by a parent or caregiver. Please register at the Children’s Reference Desk from 9:00 – 11:30 a.m. on the day of the program. No pre-registration. Seating is limited. 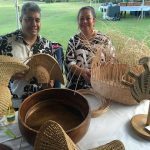 Lloyd Harold “Kumulā‘au” Sing Jr. and May “Haunani” Balino-Sing are ulana ‘ie (weaving using ‘ie‘ie fiber) practitioners, who will share and demonstrate the knowledge of ‘ie‘ie basketry while exhibiting example artifacts of the weaving art form. ‘Ie‘ie (Freycenetia arborea) is known as the wild pandanus vine; the woody aerial rootlets were collected and prepared for the weaving of: fish traps, baskets, religious images, helmets and the like. In a casual and intimate setting, they will explain how pieces were traditionally crafted and the complexities that come with reinvigorating the cultural practice of ulana ‘ie today. 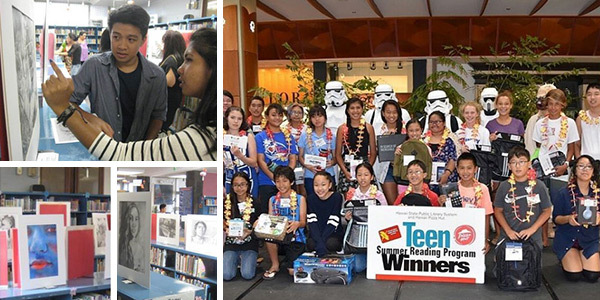 This program will be held in the Hawaii State Library’s first floor reading room. 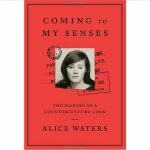 In May, the book club will meet on Wednesday, May 8th from 2-3 pm in the reference area of the Language, Literature and History Section to discuss Coming to My Senses: The Making of a Counterculture Cook by Alice Waters. The call number is 641.5092 Waters. When Alice Waters opened the doors of her “little French restaurant” Chez Panisse, in Berkeley, California in 1971 at the age of 27, no one ever anticipated the indelible mark it would leave on the culinary landscape. Dotted with stories, recipes, photographs, and letters, Coming to My Senses is at once deeply personal and modestly understated, a quietly revealing look at one woman’s evolution from a rebellious yet impressionable follower to a respected activist who effects social and political change on a global level through the common bond of food. This book club typically meets on the first Wednesday of the month and new members are always welcome. No registration necessary. Inquiries can be directed to booksmartbookclub@gmail.com or 808-586-3499. This free 45-minute program is suitable for ages 3 and older and will be held in the library’s Edna Allyn Room for Children (first floor). Young children must be accompanied by a parent or adult caregiver. Sponsored by the Friends of the Library of Hawai‘i. 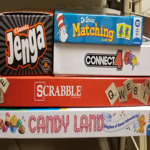 Come and play games at the library, in the Edna Allyn Room for Children, every second Saturday of the month. 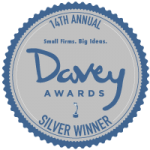 No registration required – just show up and play! Recommended for children ages 3+ (children under 5 must be accompanied by an adult). Call or visit the library to confirm (there will be no game day on state holidays).